Proven Tips to Lose Weight ! Nowadays, sedentary lifestyles, lack of exercise and unhealthy diets have all contributed to most of us being overweight. Being overweight is no laughing matter since it not only affects our health but plays on our minds too. Healthy lifestyle choices with the right diet is the best way to permanent weight loss and a healthy future. The most important factor in incorporating changes in our lifestyle is to make sure that they are gradual and steady so our bodies can adapt to them. 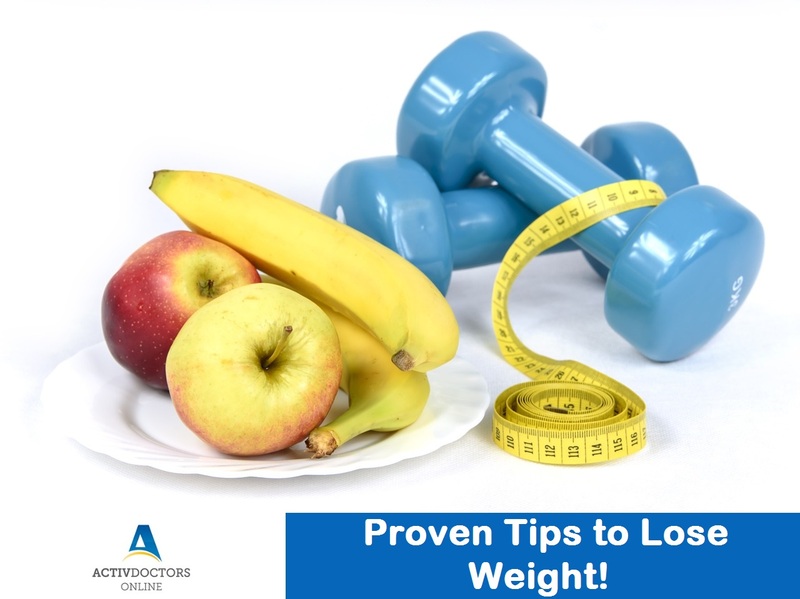 Following tips shall help you get started towards your Weight Loss goal! 1) Get Rid of Junk Food! Chips, Ice Cream, Cookies, etc. are all examples of processed foods that we need to eliminate from our diet since they’re loaded with sugars, fats and carbohydrates. It is recommended to replace junk food with healthier choices such as nuts, or fruits. They would not only be healthier but also provide vitamins and fiber which are essential for the human body. Alcohol and Aerated Drinks do more for your waistline than anything else. The sugars and carbohydrates add excessive unwanted calories to your diet which makes it even more difficult when trying to lose weight. You must’ve heard this multiple times but water not only helps you feel fuller but helps eliminate wastes from your body to help you towards being healthy! Breakfast is a very important meal of the day. Skipping breakfast actually increases your hunger cravings and pushes you towards eating unhealthy foods. Not enough can be said about the benefits of exercise. Exercise not only helps burn calories, but pumps you with energy to keep you going. Start with small walks before jumping into a gym routine. Slow and Steady, wins the race. Get started today and accomplish your goals – Be more than well.